Mikunioz is the official agent and distributor for Mikuni carbs in Australia. Use our email [email protected] , contact form or phone us on 07 47712677 to enquire. For Mikuni carburettors and all associated parts Mikunioz is your first port of call. 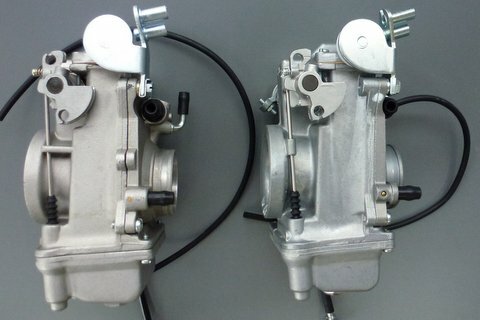 We have 30 years of experience and have a thorough and expert knowledge of Mikuni carbs. 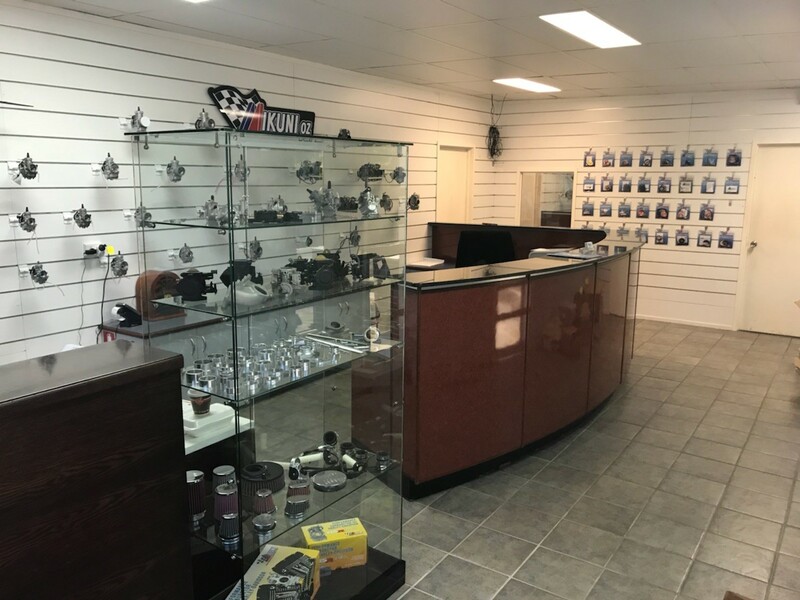 We supply Mikuni factory after market and racing carbs, jets, parts and accessories Australia and world wide for Harley Davidson and all other motor cycles, jet skis and other applications. International sales outside Australia are welcome. We offer greatly discounted rates on a 3-4 day delivery service with tracking, signature on reciept and full insurance cover. Mikunioz (T.D.Hatrick & Co) online store offers here in Australia the full range of Japanese made genuine Mikuni TM flat slide carburettors, VM round slide carburettors, Mikuni flat slide pumper carbs for 4-stroke motorcycles, HSR Mikuni carburettors and kits for Harley Davidson motorcycles, TMX motocross 2-stroke carburettors, Mikuni RS flat side carb kits for 4 cylinder engines, BN, Super BN and BNI Mikuni jet ski carbs. 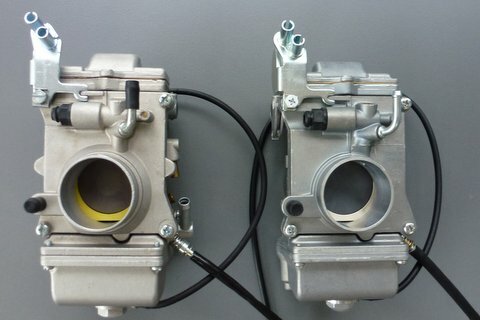 For go-carts and other applications there’s the range of Mikuni pulse fuel pumps. Mikuni kits to suit Australian fuel for off road, track and road-bike performance and racing upgrades to suit Honda, Kawasaki, Suzuki, Yamaha plus many British, European and American motorcycles. Vintage, classic and period motor cross racers and bike restorers can breath a new lease of life and improved performance into their old motorcycles. The full range of Mikuni main jets, Mikuni pilot jets and all other jets are available along with rebuild kits, gaskets, Mikuni needle and seats (needle valves), power jet kits and all other parts for Mikuni off road, road and racing carburettors. 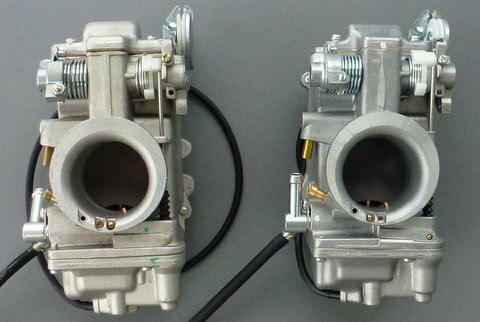 The market place is now cluttered with counterfeit items including Mikuni products ranging from this the HSR, our most advanced carburettor, down through to inaccurately sized jets and other parts. Mikunioz offers no responsibility or warranties, nor is able to vouch to the authenticity of any product marked with the Mikuni brand not imported and or sold directly by Mikunioz or a member of their dealer network. If unsure of any products origin and who is responsible for its product liability please ask the vendor and or check with Mikunioz direct. Remember if a price seems to good to be true it generally is. 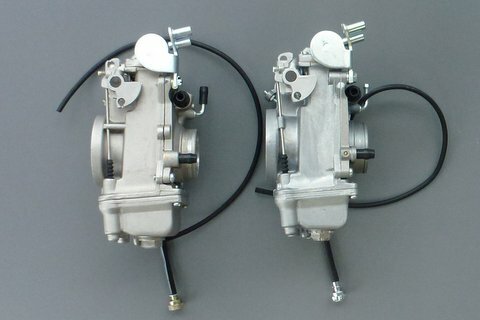 Please Note: Other than exact replacement OEM carburetors, all Mikuni Aftermarket Carburetors and Tuning Components are sold “As Is” for Off Road / Racing Use Only and are not intended or approved for use on vehicles operated on Public Roads or in Locations where applicable engine tampering and anti-pollution laws apply. Mikuni or TD Hatrick & Co is not responsible for mechanical damage or personal injury caused by an improperly installed carburetor, operating conditions, its installation and tuning by the vehicle manufacturer, dealer, mechanic or private individual, or their inability to immediately recognize and properly correct unsuitable jetting on any supplied carburetor.